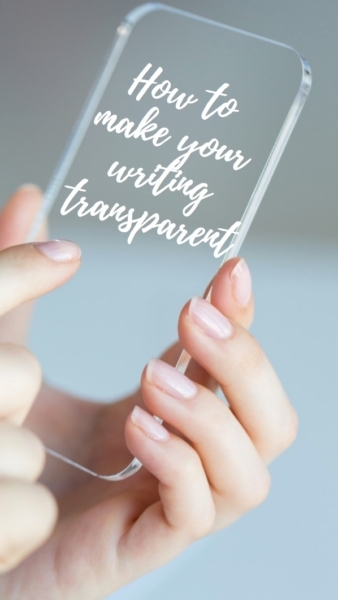 Our ‘quick tips’ this month summarise one of the most important aspects of good copywriting – making your writing invisible. While I wouldn’t like it if someone commented on my work and said, ‘That’s poor writing’, I would be equally disappointed if someone said, ‘That’s excellent writing’. Effective marketing copy has to be invisible, otherwise it can obscure the purpose. Good copywriting focuses readers on what is being highlighted, promoted or sold, taking them effortlessly to where they need to go and enabling them to make decisions. If the writing is ‘puffed up’ or self -conscious, focus is soon lost. Take a look at two examples to see what I mean. We’re inviting you to consider the appreciable difference between the standard style of up-and-over garage door opening and the new smooth-glide automatically controlled door which equips you with the kind of flexibility that will enhance the way you can access your garage at any particular time. At Winterfruit Doors we pride ourselves on a total commitment to designing and building the kind of hardwearing yet attractive garage door which will enhance your home. It’s got just the right kind of weather-resistant surface to make maintenance a joy as all you have to do is wipe it clean with a soft cloth. This is just hard work and it’s not good copywriting because the words are getting in the way of the selling. The writer needs to lose the ‘we’ or ‘us’ focus and get straight to the product’s features and benefits. Forget what you, as a supplier or vendor are doing. The smooth-glide garage door lets you access your garage at any time – in a way that the standard up-and-over garage door just can’t. Winterfruit Doors are not only weather resistant, their attractive appearance actually enhances your home. And maintenance is easy too. Just wipe it clean with a soft cloth. See how much easier this is to read because it focuses simply and directly on the product, not on the vendor. We are often naturally inclined to put ourselves at the centre of the picture. There is much to be gained by actively taking ourselves out of the picture, especially when we are promoting or selling. This is the heart and soul of good copywriting. I hope you’ve found this tip useful. Get in touch if you’d like to discuss any aspect of your business marketing copy.